. إن BreakFree Imperial Surf Hotel حريص على توفير الراحة للنزلاء، فلا يوفر الموظفون جهداً في تقديم أفضل الخدمات وضمان حسن الاستقبال. يقدم الفندق تسجيل وصول/خروج سريع, تخزين الأمتعة, صف السيارات, التوصيل من وإلى المطار, غرفة عائلية لضمان الراحة القصوى لضيوفه. استمتع بوسائل الراحة الراقية في الغرف أثناء إقامتك هنا. بعض الغرف تتضمن تلفزيون بشاشة مسطحة, مرآة, صوفا, اتصال لاسلكي بالإنترنت, غرف لغير المدخنين لمساعدتك على استعادة طاقتك بعد يوم طويل. يقدم الفندق مجموعة رائعة من الخدمات كمثل حوض استحمام ساخن, ساونا, مسار جولف - ضمن 3 كم, حمام سباحة خارجي, حمام سباحة داخلي، لجعل إقامتك تجربة لا تنسى. إن كنت تتطلع إلى إقامة مريحة وهادئة في جولد كوست، فستجد في BreakFree Imperial Surf Hotel بيتك الثاني. مكتب الإستقبال مفتوح من 08:30 AM إلى 05:00 PM خلال أيام الأسبوع و من 09:00 AM إلى 03:30 PM خلال عطلة نهاية الأسبوع. على الضيوف الذين سيصلون خارج هذا التوقيت أن يتواصلوا مباشرة مع العقار قبل وصولهم ليت ترتيب هذا الامر. It had excellent views and location was ideal as it was opposite beach and a short walk to the shops. Unfortunately when we arrived the indoor pool and spa was under renovation which was disappointing as that was a big factor to why we booked that place. We stayed in a very outdated room that was in urgent need of renovation. The kitchen wasn’t very practical and kickboards in the kitchen were all rotten and needing replacement. The smoke alarm battery had to be replaced and kept beeping throughout the night. We told the reception and they did organise someone to replace it. Beds were comfortable so that was a plus but I probably wouldn’t refer anyone to stay as the room we stayed in needed a lot of work. staff, especially Misty was really friendly and helped us with all the enquiries and even helped me to confirm my whale watching tour with seaworld whale watch company as I was rushing out. would love to hv more towels as my family of 5 are staying there for 6 days. 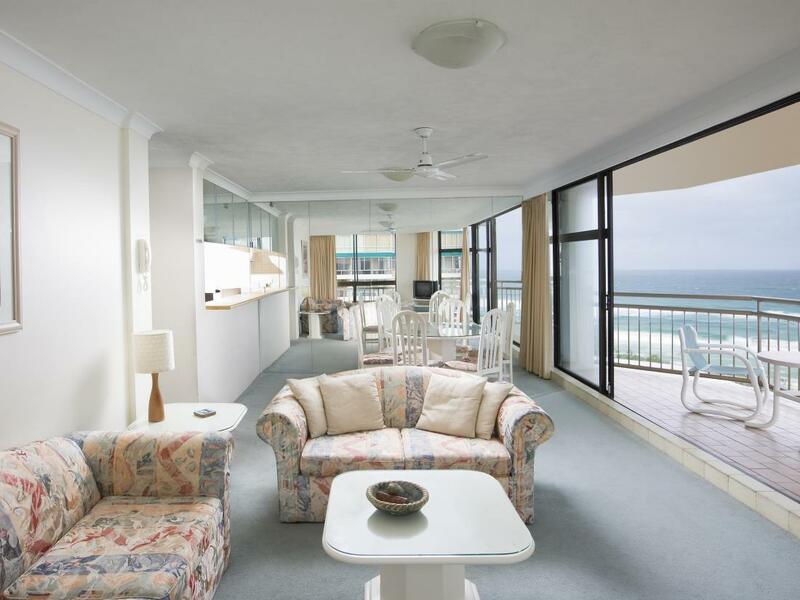 overall a splendid stay there with awesome view of surfers paradise beach and sky view. Booked for 4 nights, upon arrival in the evening n checked in. 1.The unit smell badly. 2.saw 3 small cockroaches In the kitchen. 3.there was hair under the blanket Totally disgusted and disappointed. We booked another place last minute n checked OUT first thing the next morning! The lady at the counter told me ‘this is Queensland, we r near the sea.. you may see some of that’ The manager came n offered a change of room but we rejected. It’s absolute disappointment! 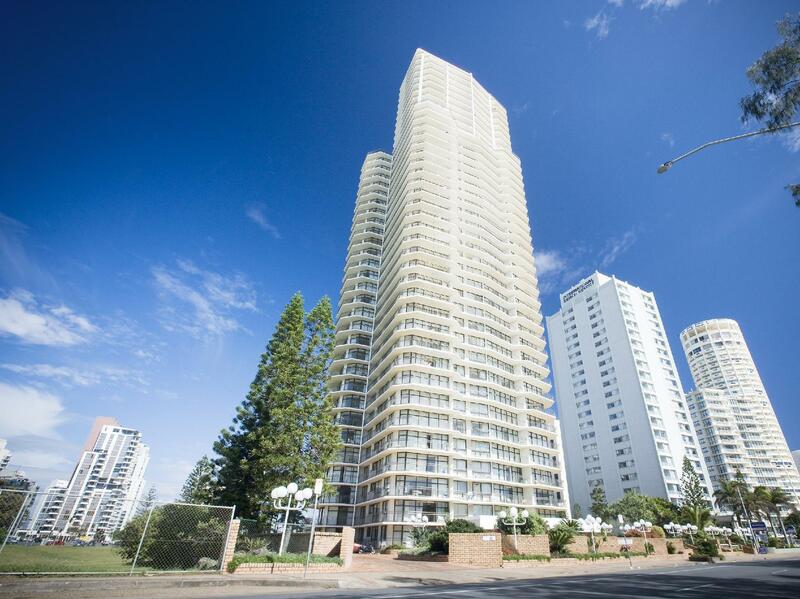 Apartment is directly opposite the beach, and is 5 mins walk to Surfers Paradise main beach. It is very clean and kitchen is fully equipped. Great ocean view and you can catch sunrise right from the balcony. Will stay again. Pros - Close to beach and within walking distance to amenities. Free parking even though there is no lift or staircase from and to Basement 2 Parking. Cons - Not four star standard. The whole apartment was tired and dated and without question needs total revamping. It was drab and dull. The bed was uncomfortable, dirty couches, kitchen utensils were filthy, shower was disgusting. For the price we paid per night it was a disgrace. The receptionist (Jacqui) is a very rude lady. Few things to note: 1. No servicing of apartment if you stay for 7 nights or less. Not even changing of linen or towels. 2. If you arrive after 3.30pm on Saturday or Sunday and after 5.00pm Mon -Fri reception is closed. If you have any issues you have to wait till the next day. Besides location and free parking there is nothing appealing about this place. I do not recommend it to anyone. They use their MANTRA affiliation to lure/attract bookings. Absolute disgrace! Stay away. Location of apartment is very near the tram line and bus stop to get to theme parks, about 5mins walk to Cavill. Good security with elevators only to your specific floor. Could improve with extra locks to the main apartment door and individual rooms (room doors do not have any locks). We took a 2-bedroom apartment and was given Unit C. The apartment had an excellent full view of the ocean from the balcony, was clean and equipped with kitchen facilities and utensils (except for a couple of pots/pans and cooking utensils with loose screws on the handles). Bed and pillows a bit too soft to my liking. There were some unforeseen renovations going on on some days throughout our 10 day stay. One of the staff Misty was very friendly and helpful. Overall had a good stay and will come back again given the chance. The unit we had was renovated with excellent bathrooms and kitchen, comfy beds and an amazing beach view. It was a fully self-contained apartment as stated. There's dish washer, oven, microwave, dryer, wash machine, heater, tv, stove, hair dryer,pots,fridge and all kitchen cutlery. We enjoyed the sea view, location is easy to find and walking distance to cavil avenue where supermarket Woolsworth Can be found. Just a suggestion to list instructions in the apartment on how to use some of the equipment, appliances and cleaning guide. Plus there's not enough toiletries to last our 7nights stay...otherwise a great.stay! There is no free wifi provided. Had a pleasant holiday and conveniently located to everything. Very good overall. We have stayed here many times in the last ten or so years. Some apartments have been a bit dated but always well presented and clean. Our apartment this time had a recent reno and was the best we have stayed in. Receptionist is friendly and helpful. We thoroughly enjoyed our stay at Breakfree Imperial Surf from 7/09/15 to 11/09/15 The location was fantastic and the view from our appartment was breathtaking. Customer Service was fabulous.Especially Receptionist Jacqui Plain, who went out of her way to make sure our stay was memorable. 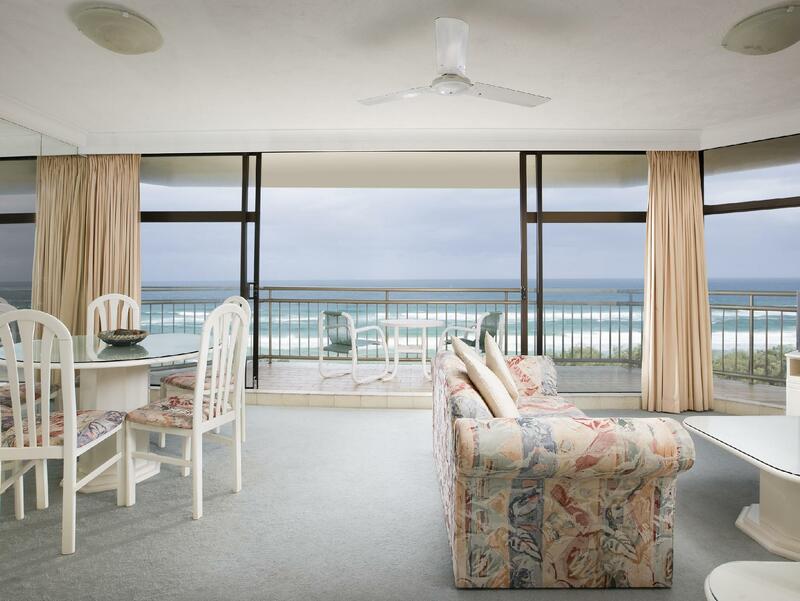 We would throughly reccommend Breakfree Imperial Surf as the place to stay on the Gold Coast. We will definately stay there again.We would rate this as a place to stay 10/10.